Diorshow Fusion Mono Eyeshadow in Millenium #381. Armed with a gift card in hand (thanks Sis), I decided to go to Sephora and seek some makeup inspiration. Diorshow Fusion Mono Eyeshadow in Millenium #381 ($30 US/6.5g) was one of the many items I have been wanting to try for the longest time. I mean it’s Dior, it’s as smooth as silk, it has multidimensional micro shimmers, and it’s pewter….need I say more? Incredibly smooth texture and consistency. The micro shimmers are so finely milled, they blend seamlessly within the formula. The mousse-gel formulation is easily applied with fingers. Cute foam tip applicator included; useful for inner corner work. 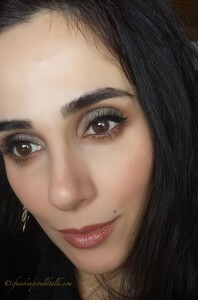 When paired with Nars Smudge Proof Eyeshadow Primer, Millenium (this is the spelling according to Dior) lasted all day without any creasing or fading. When used wet, the color is intensified and adheres beautifully to the skin. Truly does have a weightless feel. Office appropriate if applied lightly. Gives dimensional results using only one eyeshadow. The amount/price ratio is outstanding for this brand and formulation. 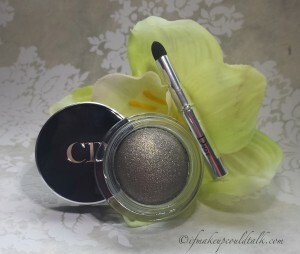 Dior eyeshadow reminds me of Chanel Illusion D’Ombre (reviewed here) formula, but with better lasting power, more product and at a lower price. Contains no petrolatum (which contributes to moderate lasting power) or parabens. Out of the twelve colors offered, four are matte. 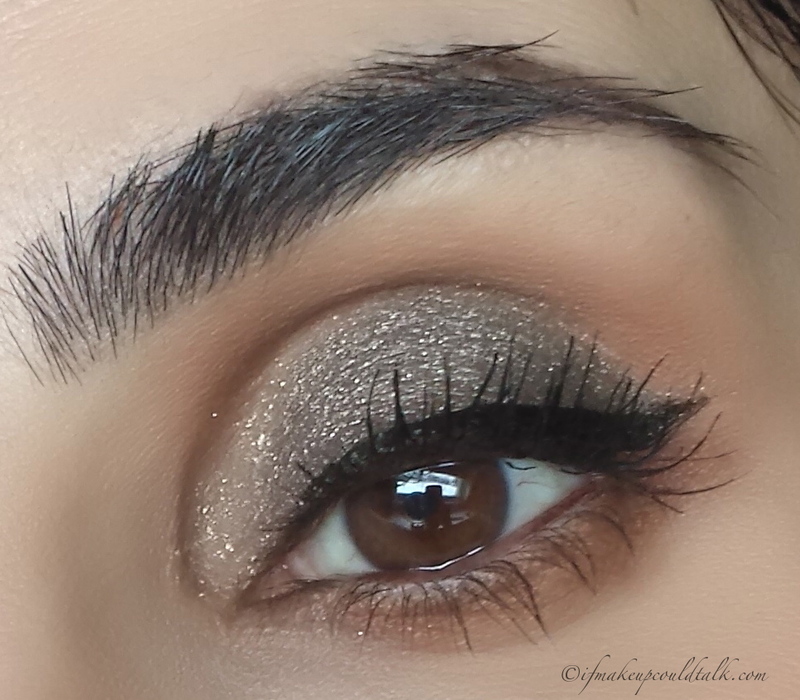 Diorshow Fusion Mono Eyeshadow in Millenium #381 in natural light. Diorshow Fusion Mono Eyeshadow in Millenium #381 (full face) in natural light. 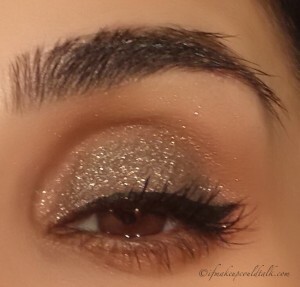 The shimmers have such an airy feel, fallout will occur throughout the day when used dry. Millenium looks very unassuming in daylight; however, sunlight and artificial lighting seems to bring out the shimmers in full force. Not office appropriate if applied wet. On me, Millenium appeared more teal green rather than the pewter/bronze hue I was anticipating. These types of eyeshadows need to be stored upside down, in their boxes to maintain their consistency. Using a brush will surely result in a patchy application and minimal color build-up. Fingers are best used. 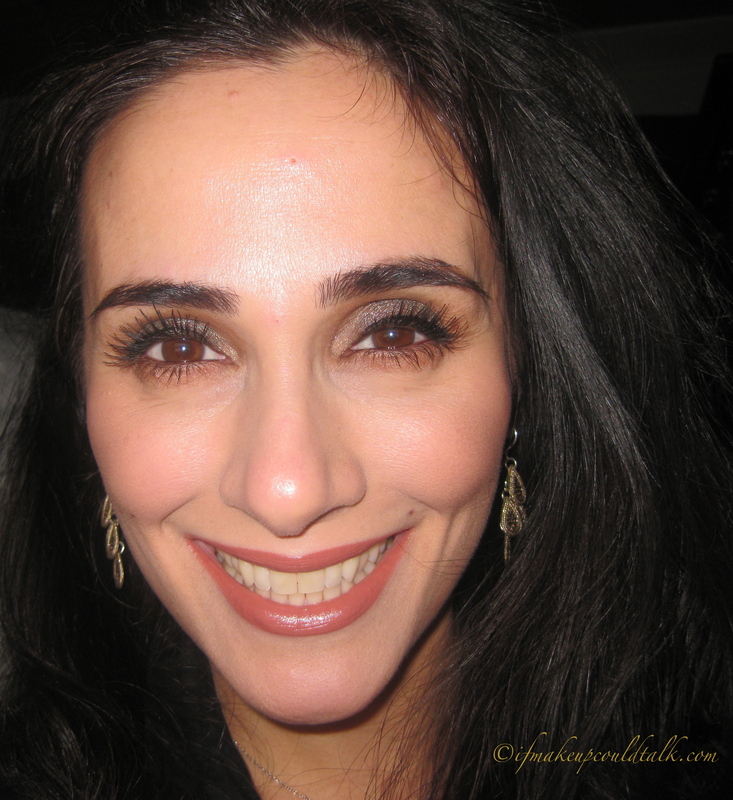 Diorshow Fusion Mono Eyeshadow in Millenium #381 with flash (4 hours later). Diorshow Fusion Mono Eyeshadow in Millenium #381 with flash. 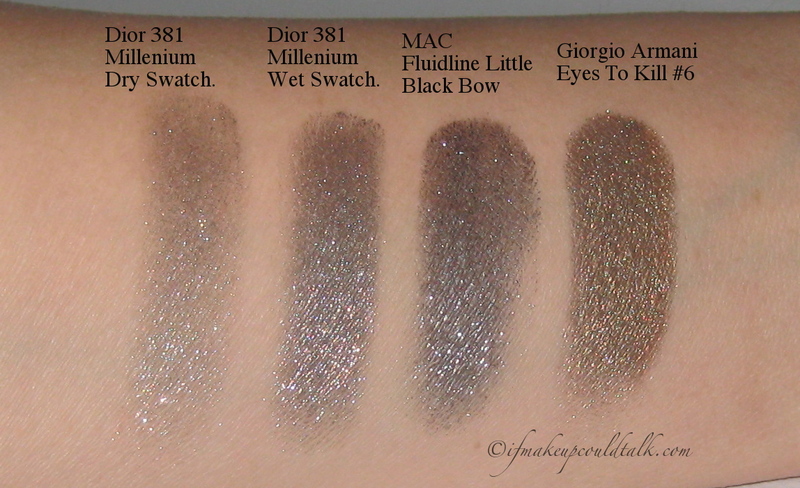 Dior 381 Millenium Dry Swatch, Dior 381 Millenium Wet Swatch, MAC Fluidline Little Black Bow, Giorgio Armant Eyes To Kill #6. Dior Millenium #381 really comes alive when used wet. Just pat the color with your dampened ring finger across the mobile lid for a no-brainer look and application. 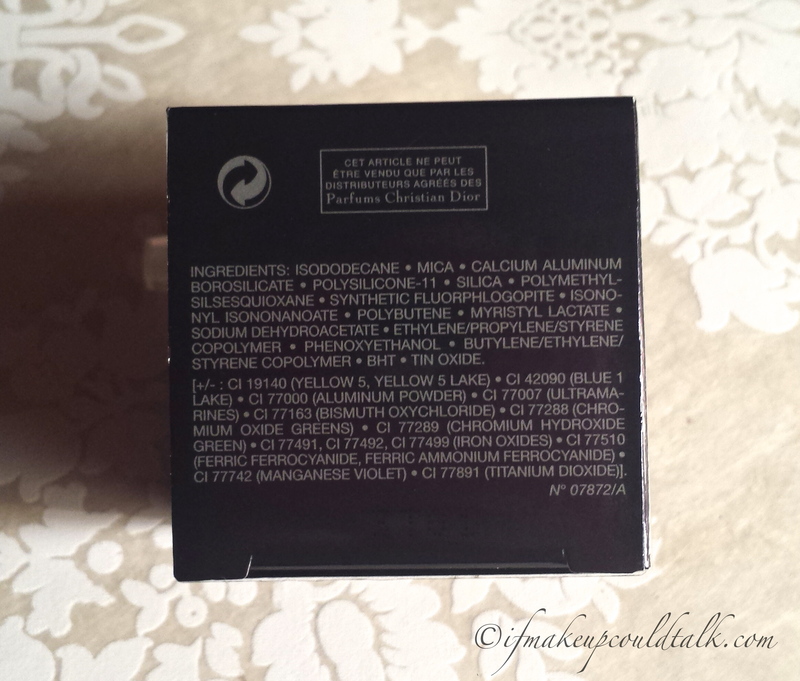 MAC Fluidline in Little Black Bow (seen here) is almost identical on the skin to Millenium. 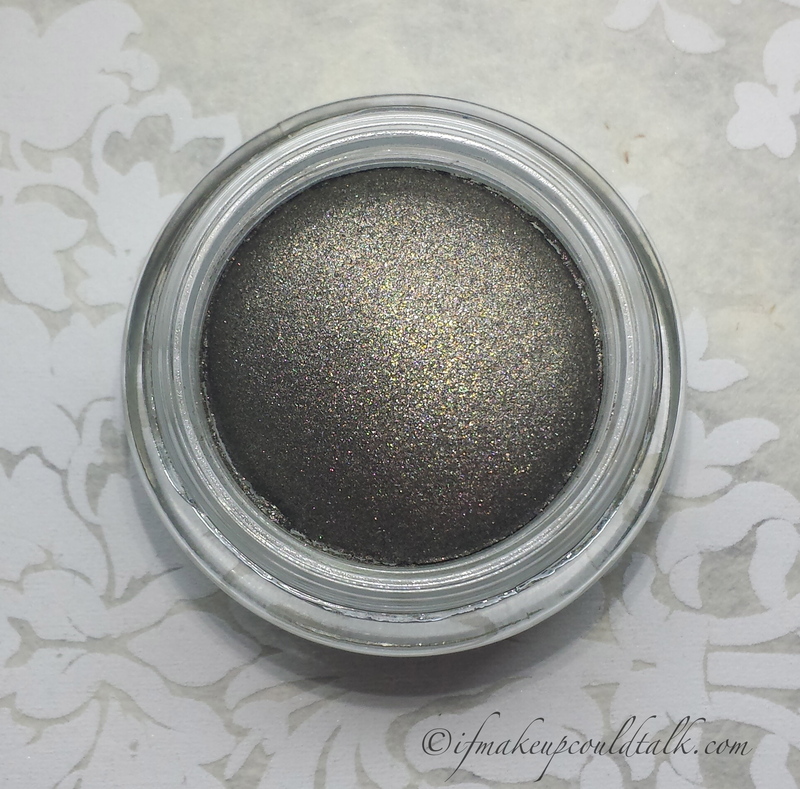 LBB has a darker base color, but does not feel as weightless on the lids as Millenium. 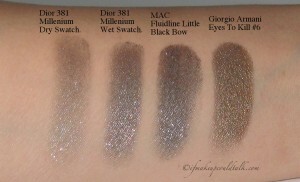 Giorgio Armani Eyes to Kill #6 was what I originally thought Millenium would resemble. As you can see, Millenium is much cooler in tone, has more shimmer and is not as pigmented. Diorshow Fusion Mono Eyeshadow in Millenium #381 ingredient list. Dior Cosmetics can be found at Nordstrom.com, Sephora and dior.com. Makeup would tell you Dior Fusion Mono Eyeshadow in Millenium #381 is a beautiful shimmery pot of loveliness. Despite its beauty, I would not recommend Millenium to those who are not overly fond of shimmer. On the bright side, Dior has formulated four matte shade to accommodate a more conservative clientele. See everyone is happy! Will you be trying any of these eyeshadows? Be well and stay safe.